The Cole memo that Sessions rescinded in January had directed Department of Justice prosecutors to deprioritize crackdowns on large-scale marijuana business operators in states where they’ve been sanctioned. 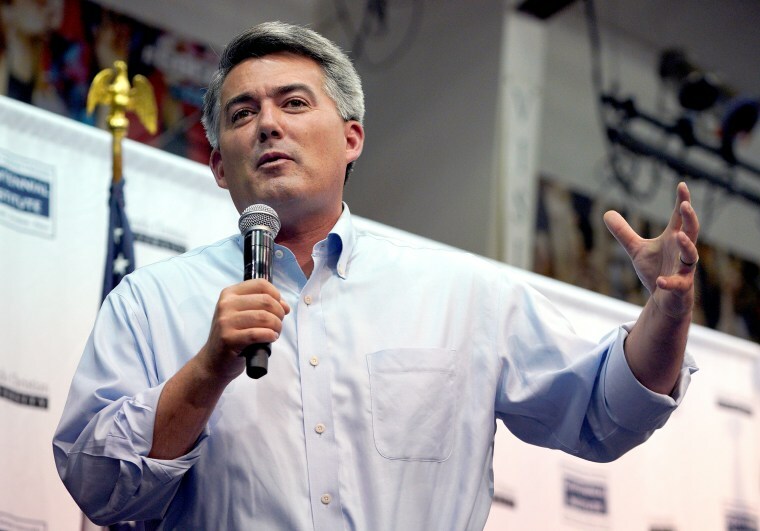 Gardner reacted by blocking nominees for DOJ positions, he said. Gardner said Friday that he’s agreed to step out of the way of the rest of the nominees as part of his negotiation with Trump. Sessions has a long history of opposition to the use of marijuana. Despite laws passed in states that legalize recreational use of marijuana, it remains illegal under federal law. Colorado legalized medical marijuana use in 2010, voters approved recreational use of marijuana in 2012 and the first recreational sales began in 2014. The state says it collected more than $247 million in taxes and fees on retail and medical marijuana last year. Eight states — Alaska, California, Colorado, Maine, Massachusetts, Nevada, Oregon and Washington — have approved laws allowing the sale of recreational marijuana, although recreational sales have not yet begun in all of those states. Vermont’s governor in late January signed a bill into law that would authorize the recreational use of marijuana in the state, but it does not contain a mechanism for the taxation or sale of marijuana, the Associated Press reported. The legislature is expected to develop a system. The president’s reported move comes as a number of Republicans have opened their hearts to the Schedule I substance. Last month Senate Majority Leader Mitch McConnell, R-Kentucky, expressed support for legalized hemp, which is a cousin of marijuana that contains a negligible amount of THC, the psychoactive compound that gets pot users high, but cultivation of which is banned under federal law.